Save time and money with FREE EXPRESS DELIVERY on all Benjamin Moore® and Texas Paint products. 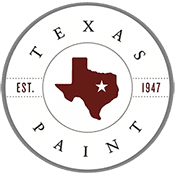 For over 70 years, the Texas Paint & Wallpaper family and Benjamin Moore® have provided top quality paint and supplies for Professional Paint Contractors, Interior Designers, and Homeowners throughout the Dallas-Fort Worth Area. In addition to our five (5) retail locations, we now offer Pro-Distribution Centers specializing in expedited delivery and contractor solutions. All of our locations offer Benjamin Moore® Premium Paints and Supplies at competitive prices. If you are looking to save money and time, stop by one of the Texas Paint & Wallpaper locations today! When you’re a professional contractor, time is money. Texas Paint helps you keep rolling on every paint job with delivery from three new locations. *Delivery service available for Dallas – Ft.Worth, Grapevine, and Plano area stores (10 mile radius & $50 Minimum Order) for orders placed between 7AM and 3:30PM Monday through Friday – from you order to out the door within 2 hours.